It’s beginning to look a lot like the baking season! And with that, being on dialysis does not mean skipping out on the holiday festivities or some of the past time favorites! Go ahead and fill-ter your house with the delicious scent of baking cookies and bring your little ones and family around. 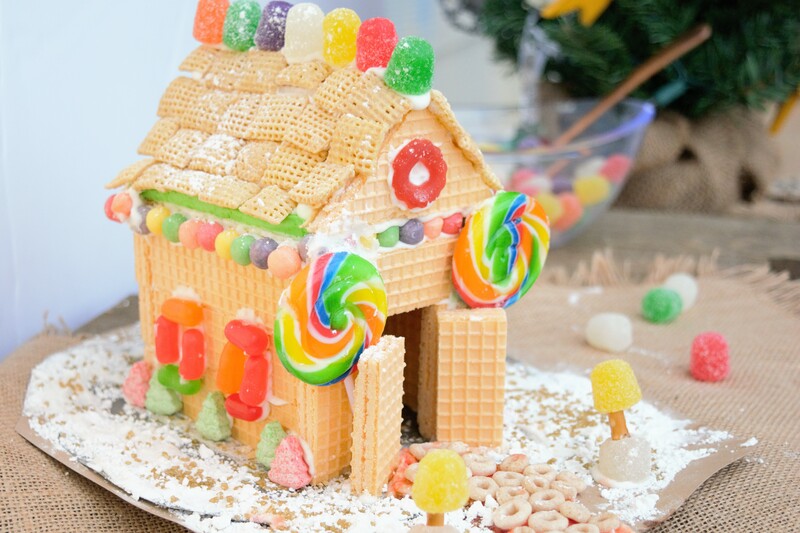 This is a holiday dialysis recipe for kids that is sure to win with all ages! Candy. Cookies. Powdered sugar topped roofs. Yes please! Want a little more fun? Check out our YouTube Video making this house here! Sugar and spice, how we plan to keep these works of art nice! Cookies and sweets in moderation are acceptable during the holiday seasons. We opted for lower potassium wafer cookies, as traditional gingerbread dough uses molasses, which caries a hefty potassium and phosphorus quantity. High levels of potassium can occur with the consumption of sources rich in this mineral or when eating large quantities at once. Keep your heart cheery this season and remember moderation is key. If You Want to Work From Scratch for your Cookie Walls…. 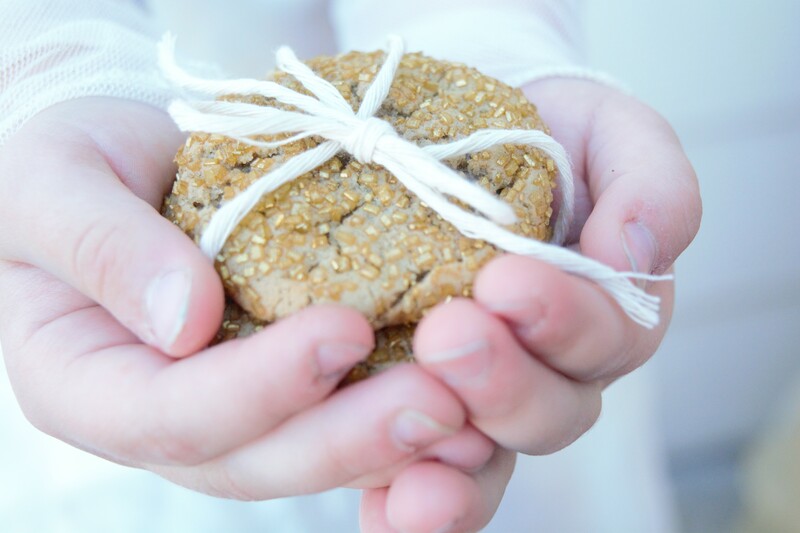 There are lots of options when it comes to choosing a kidney-friendly cookie for the house. Traditional gingerbread, as we noted above, contains large quantities of potassium which may not work for some. We love this alternative soft ginger cookie recipe that will not disappoint! These low phosphorus, low potassium cookies are sure to produce a sweet treat and the perfect walls for decorating. Make sure to add an extra 1/4 cup of flour and chill the dough before rolling out. We love the patterns in this document for structuring a cookie. Roll the dough out in ½ inch sheets and bake to a light brown color. Coffee creamer cartons make great structural support pieces! Once the dough has cooled, cut four walls to the size of your milk carton and ice with this with this royal icing like this one from geniusbaking.com. Don’t forget pieces for you roof and chimney! 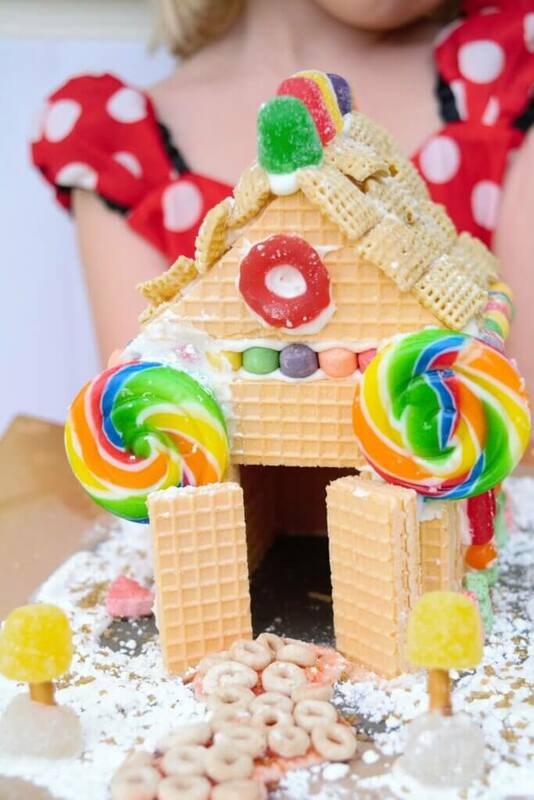 There are lots of other options when it comes to choosing an edible wall for your holiday creation. Wafer cookies end up being one of the lowest in potassium and phosphorus. They also, are actually quite fine to work with if you have a sharp knife for cutting angles. Check out our renal cookie comparison below. These other cookies don’t necessarily make great walls (except the rice krispie treats…those would work excellently! ), but they do make great accessories, roof tiles, or just little snacks. Decorate a colorful door with your favorite fruity bites. 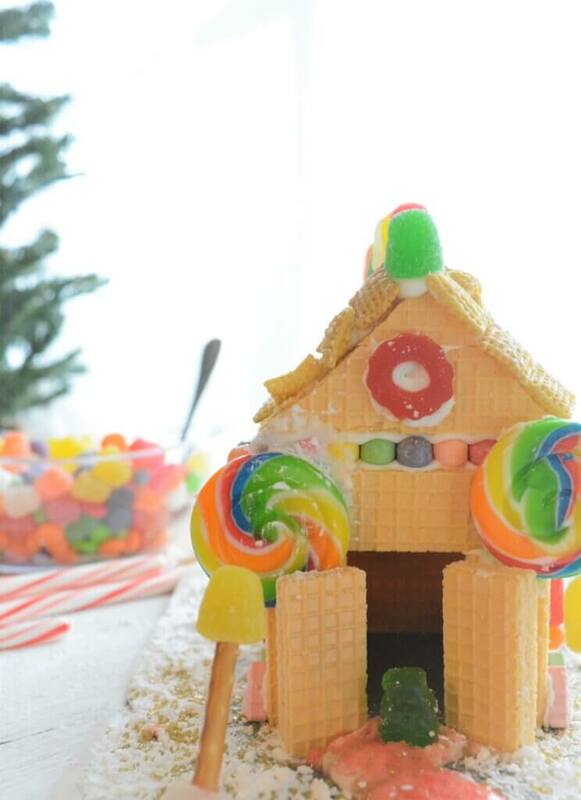 Add some windows with sweet peppermint disks. Pave your walkway with a checkered path of Red Hots, Twizzlers, Cheerios, or Neds. Fruity candies are excellent choices for decorations. Also cereals, low sodium pretzels, and other similar foods. Even better are hard candies, especially sour mouth-watering picks. They act as thirst quenchers and can help those who are on a fluid restriction more easily manage thirst. Check out these other ideas below! 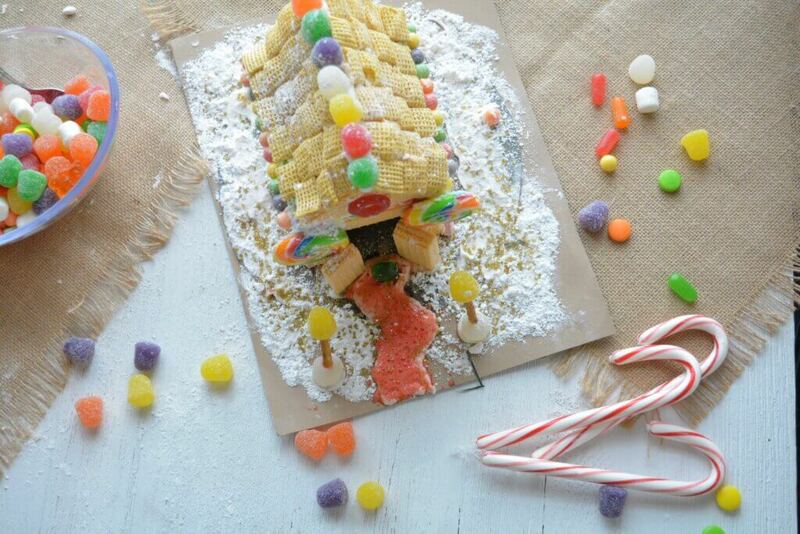 I grew up in a family where we made “gingerbread houses” every year with graham crackers, except Mom. Mom always made a real one -with real gingerbread. 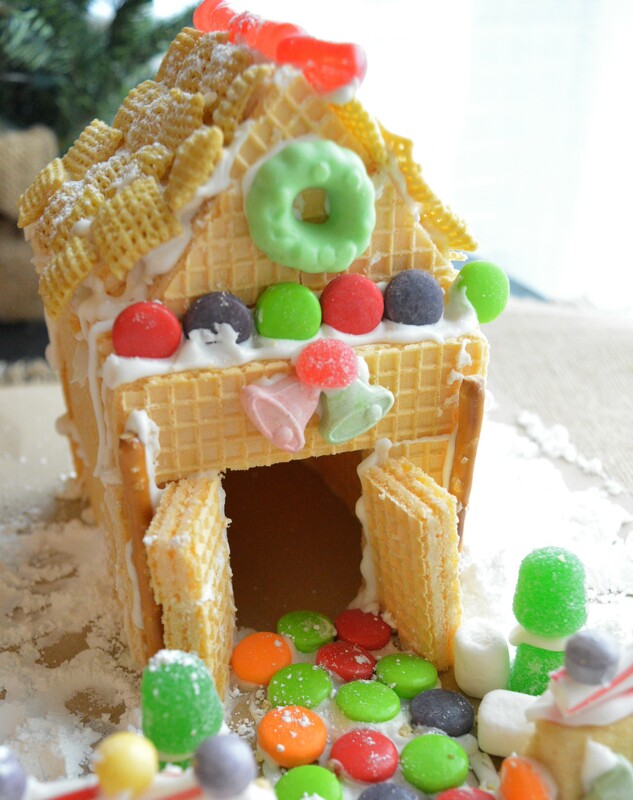 She always decorated like the church, and then all our little gingerbread shops and houses were the villages. The dough was the best part. 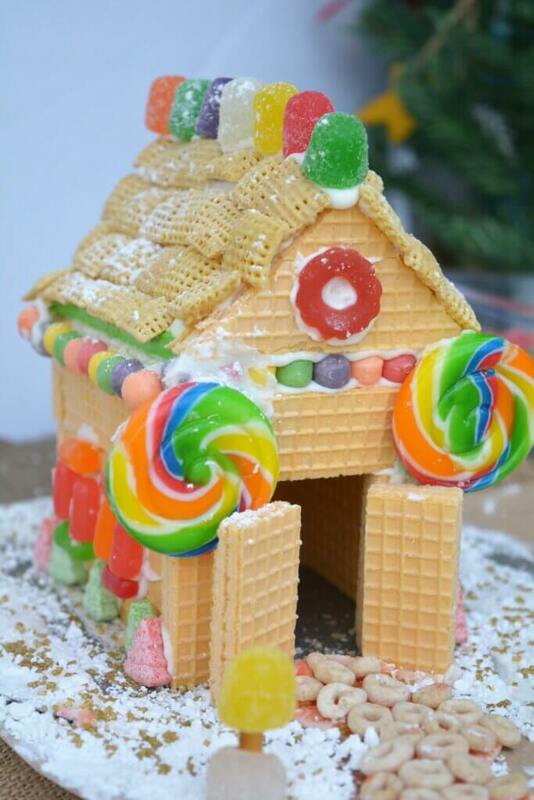 As I look back, I wish I would’ve known about the magic of working with wafer cookies for gingerbread houses. With a sharp knife they are easy to cut to perfect angles and stack perfectly. Just so happens that wafer cookies are the lowest in potassium, phosphorus, and sodium (what ARE they made with anyways…?) They are a perfect cookie to replace graham crackers or real gingerbread. But if you need real gingerbread, check out our magical gingerbread cookie here. Want a little more fun? Check out our YouTube Video making this house here!